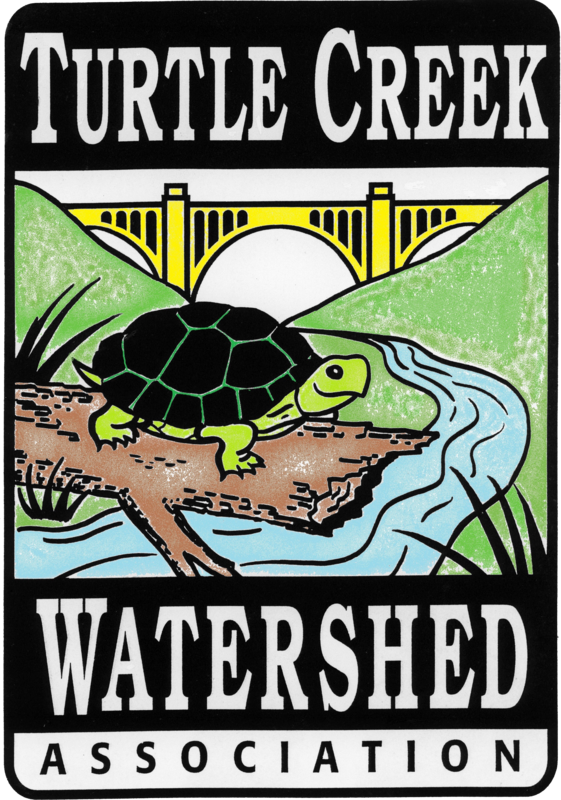 The Turtle Creek Watershed Association (TCWA) is one of the oldest- long lived watershed associations in Westmoreland County and the state of Pennsylvania. TCWA was formed on August 31, 1970 primarily through the efforts of its first Board of Directors, the Westmoreland County Soil and Water Conservation District (Westmoreland Conservation District), the Allegheny County Commissioners, and Westinghouse Electric Corporation. They initially operated as a Pennsylvania- chartered environmental planning agency involved with erosion, sedimentation, flood control, sewage, and abandoned mine drainage issues within the 147- square mile Turtle Creek Watershed. Over the years, the TCWA has managed projects that have addressed recreation, trout stocking, environmental education, and natural resource conservation throughout the watershed. To promote the conservation of the natural resources of the Turtle Creek Watershed. To conduct educational and scientific investigations and research related to natural resources conservation within and bordering the Turtle Creek Watershed. To disseminate information pertaining to the natural resources of the watershed to interested parties and the general public either without charge or at no-profit to the Association. To educate individuals and organizations in the value of stream controls and land activities. To improve financial, technical and other assistance from federal, state and local sources to implement the watershed’s protection and development. To accelerate existing beneficial governmental programs on the watershed and promote necessary additional constructive programs beneficial to the watershed and the institution of sound conservation practices. To study the resources of the watershed and develop a watershed management program based on the results of the study. To promote local interest in the problems on natural resources conservation in the watershed and solicit local support on the problems developed to correct and alleviate the problem conditions.